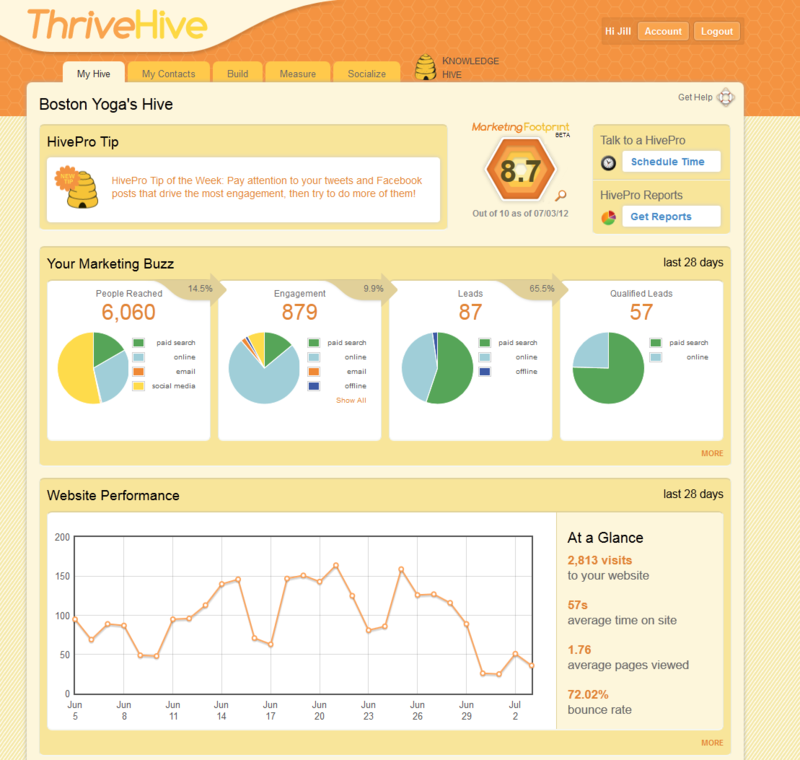 ThriveHive, a new marketing platform for small businesses, is today announcing it has closed $1.5 million in seed funding in a round which included MIT Professor Ed Roberts, Mitch Roberts and Jean Hammond, as well as seed stage venture capital group Founder Collective, The Birchaven Group, and IBCC, among others. The company, founded by two former small business owners who know the pains of SMB marketing firsthand, offers companies a customized marketing plan which includes a combination of best practices and data aggregated from its online platform, allowing businesses to compare themselves with their peers and then act accordingly on that information. The Cambridge-based startup was founded by Max Faingezicht (CEO) and Adam Blake (COO), both of whom were formerly students together at MIT before receiving their MBAs and heading off to start their own businesses. Faingezicht also worked at Amazon in product marketing and strategy. ThriveHive’s third co-founder, Maria Battaglia, is also a former marketing exec whose experience includes time at Monster.com, NBC, IBM, and OnForce. The problem with these providers, explains Faingezicht, is that they’re a “one size fits all” type of solution. He doesn’t think that works for small businesses. “Every local business is unique and their marketing should be unique,” he says. So at ThriveHive, they’re answering small biz owners’ top two questions: what should I do for my marketing and how do I execute on it? To answer those questions, ThriveHive walks the business owners through a short assessment, which asks questions like “how many customers do you have?”, “how many employees?,” “where’s your location?,” etc. It then combines those responses with its in-house marketing expertise as well as the aggregate data collected from all the customers ThriveHive serves. The data helps ThriveHive put together a very specific plan for the small business. Each month, the customer is asked to complete just a few steps before moving on, which would be things like “get the website optimized for SEO,” or “set up AdWords” for example. 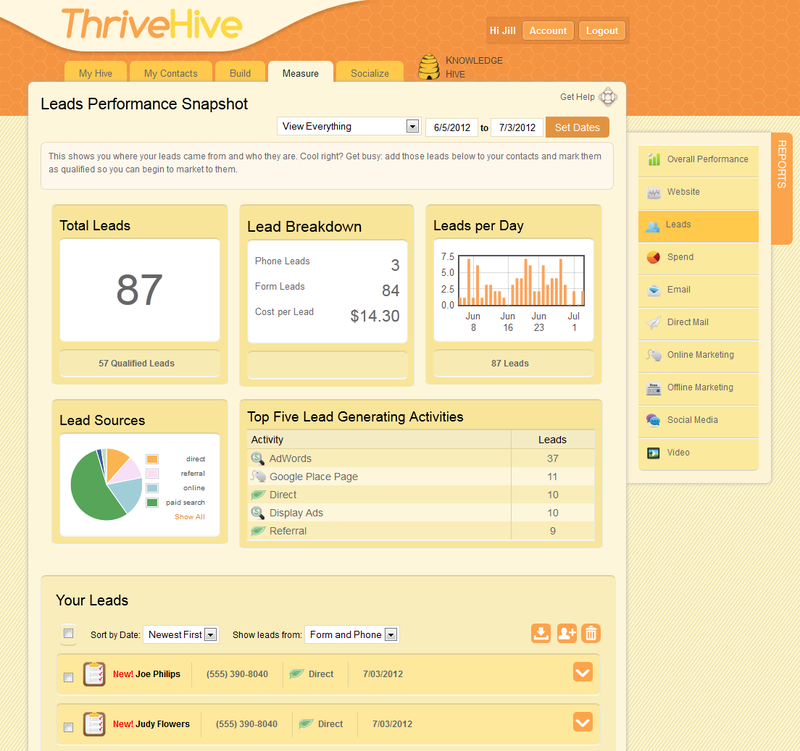 At its core, ThriveHive is an integration play. Under its roof, it combines services like ConstantContact, Twilio’s tracked phone lines, Click2Mail, Facebook and Twitter, as well as in-house developments like web analytics and a contact manager, and asks its business customers to set up each one step-by-step. For $199/month, customers can also receive a 1-hour monthly consultation for additional support on this or for $699/month, they can receive full AdWords management. ThriveHive just exited from its beta at the beginning of the year, and while it won’t disclose the number of customers, they did mention a couple of case studies of interest. In one, a local martial arts studio on the brink of going out of business signed up and, in a few months time, increased its revenue by over 80% and is now generating a profit. Another restaurant on the service began doing well enough that it’s now considering franchising. With the seed financing, ThriveHive is going to focus on customer acquisition and will be hiring for positions in sales, customer service, web development and account management.